I had a severe back pain and no peace in my mind . Guruji suggested me to wear a gemstone and nothing else .. now I feel so good . 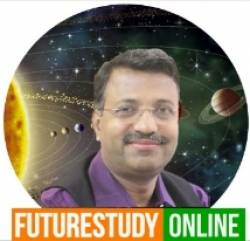 In todays world where nothing is free, Mr Pandey spends his precious time in answering needy people like me who do believe in science of astrology and its effects on ones life. I have two kids and as a mother of two I definitely wanted to know and be prepared for any of my childs important events and incidents in their life. Through a friend, I was refcommended to him and cant thank her enough for doing that. Mr Pandey, is a great human being to talk to and his knowledge on this subject seems vast. He was patience and gave every details of each of my kids horoscope and even gave me some mantras to chant for them (least I can do for them). Also he was kind enough to tell me to call him back whenever I needed any help. I cannot express gratitude from the bottom of my heart and I promise to suggest his expertise to my family and friends too. Please take a leap of faith and you will be surprised.